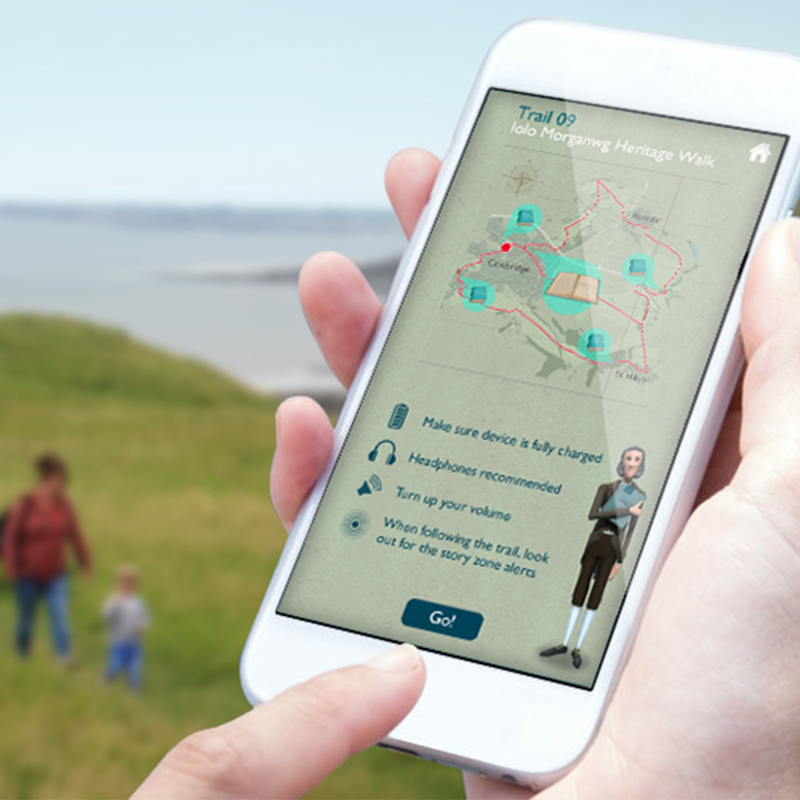 To create an innovative digital storytelling app to accompany 10 established walking routes around the Vale of Glamorgan. We created Vale Tales, a GPS triggered, bilingual, digital storytelling app that brings the many myths and legends of the area to life with animated storyteller Iolo Morgannwg – the Welsh master of the tall tale. 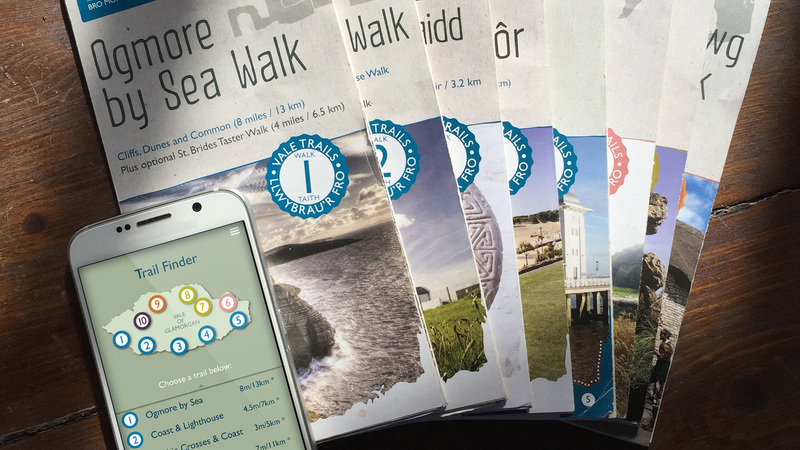 A GPS map shows visitors where they are along each route and where they will be able to find and unlock stories. 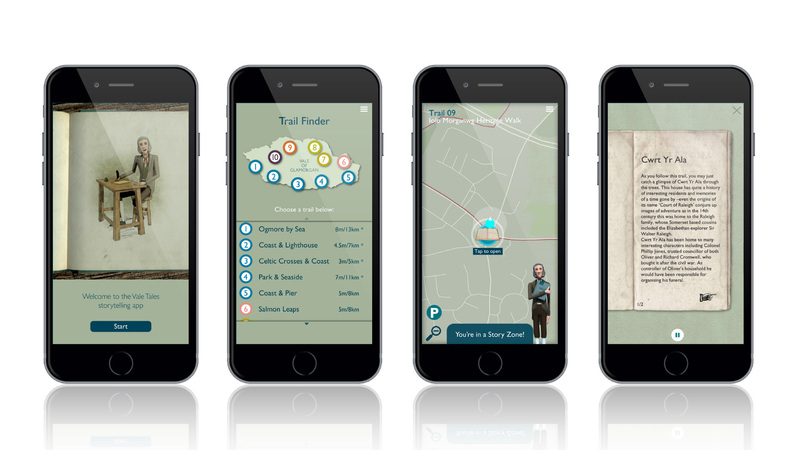 The app alerts visitors when they have entered a ‘storyzone’ and allows them to collect and listen to a tale. The stories are relevant to the location they have reached and, once unlocked, are stored in a library for them to read and listen to again. To improve battery life we optimised the GPS functionality and incorporated a sleep mode that allowed story alerts to sound while the mobile device wasn’t active.